World Golf Hall of Fame member, Gay Player, used all of his experience in designing the beautiful Blackmoor golf course. For nearly 60 years, Mr. Player has traveled the globe, giving him the wisdom and knowledge that few can match. This has allowed him to incorporate many of his ideas on this beautiful Myrtle Beach golf course. The setting for this outstanding course was a natural for Mr. Player as it was built on the historic Longwood Plantation and winds along the Waccamaw River. The course offers undulating terrain, moss draped trees, pristine lakes and tall whispering pines. Stretching to just over 6,600 from the tips, Blackmoor is not a long course, but with its clever design, offers plenty of challenges to the very best players and a very enjoyable experience for players of all skill levels. “There is a natural reward in being able to play a course once it’s built, but that is far outweighed by the satisfaction experienced when I see other people deriving enjoyment from something we helped create. 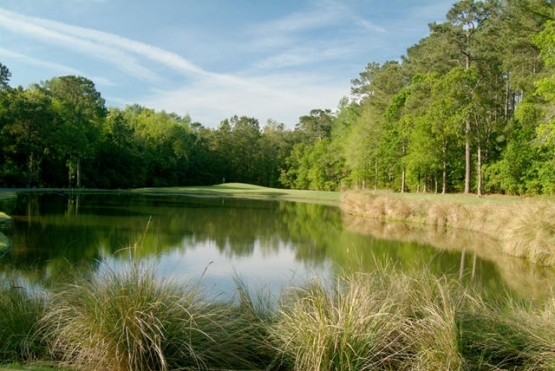 This course is a must for your next Myrtle Beach golf package. You can include it with any of our other beautiful Myrtle Beach golf courses and of course we also the very finest in Myrtle Beach Accommodations and Myrtle Beach golf packages. Book your Myrtle Beach golf trip today!